The term ‘impact’ describes the effect we have on those around us. Having impact expresses the collective impression left by our visual appearance, our presence, the way we connect with others and the lasting effect we have on people when we have left the room. 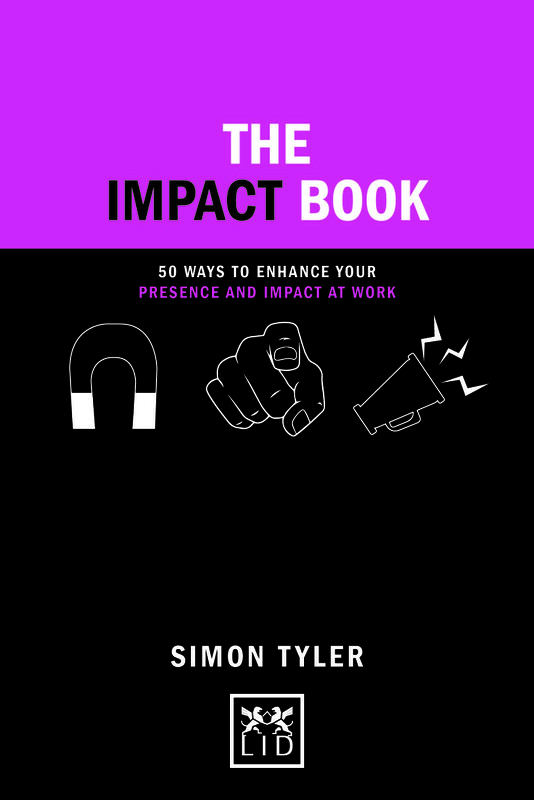 This book provides 50 short but powerful ways to raise your impact level in business. Taken together, it forms a code to enable you to create a response in others and to ensure that every encounter (within your company and outside of it) has the potential to bring something to you, whether that be financially, professionally, or personally. The secrets to unlocking your ability to create presence, impact, and change at work. Contains 50 concise techniques and tips that, when taken together, form a code for any manager to create impact. Every ambitious manager understands the need to create impact – this book unlocks that ability. Accessible and easy-to-use, this small but powerful book is all you need to succeed. Part of the bestselling Concise Advice series – stylishly presented and easy to understand and apply.